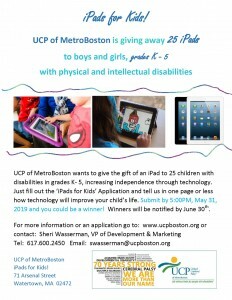 UCP of MetroBoston is giving away 25 iPads to children, grades K-5, with physical and/or intellectual disabilities! 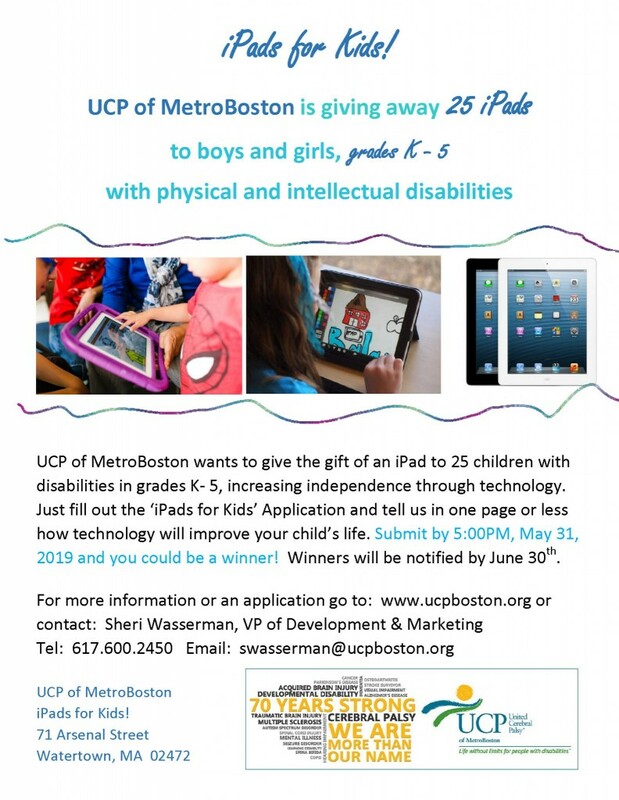 UCP of MetroBoston wants to give the gift of an iPad to 25 children with disabilities in grades K- 5, increasing independence through technology. Just fill out the ‘iPads for Kids’ Application and tell us in one page or less how technology will improve your child’s life. Submit by 5:00PM, May 31, 2019 and you could be a winner! Winners will be notified by June 30th.